Come to Bornholm for a great winter holiday. Bornholm may be known as the Danish sunshine isle in the Baltic Sea, but there is more to the island than summer, sunglasses and sunbathing. Try a fabulous winter holiday on Bornholm – it’s a great place to relax and wind down but there is also a wide range of fun winter activities. Come and experience the beautiful Bornholm countryside in the winter. Several of the island’s guides as well as the Danish Nature Agency Bornholm organise trips in Bornholm’s stunning scenery throughout the year, even during the winter months. If you plan to visit the forest Almindingen, at Lindesbjerghus – between the bogs Svinemose and Bastemose – you can pass the enclosure with Bornholm’s seven European bison. The bison were brought to Bornholm in 2012 from Poland and are helping to enhance the habitat for the fauna and flora in Almindingen. You haven’t been on Bornholm, if you haven’t visited at least one of the island’s famous castle ruins. The most popular one is Hammershus, and if you already have been visiting Hammerhus before, we can recommend you a hike in the area around the castle. If you want to see some more, why not go up to the Hammeren lighthouse on top of a 90 m high hill and enjoy the view from there or see the Opalsø (a lake named after the opal green water in it). If you prefer a hike in the forest, why not go and visit the island’s oldest castle ruins Lilleborg and Gamleborg? They are situated in the middle of Almindingen forest. Just taking a winter holiday on Bornholm is wellness for the body and balsam for the soul! However, if you are on Bornholm, you should obviously experience wellness in a class of its own. 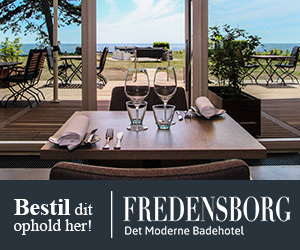 The Diamond Spa of Bornholm at Griffen Spa Hotel in Rønne is Bornholm’s most exclusive spa and wellness centre. The spa takes its name after the quartz crystals or ‘Bornholm diamonds’ trapped between the layers of chalk on Bornholm’s southern coast, with each of the spa’s treatment areas named after a Bornholm locality. The spa area is equipped with four different saunas, a large pool with 34°C warm water, a light therapy wall, an outdoor spa with stunning views of the Baltic and several inviting relaxation areas. This page will be updated with lots of winter fun experiences. 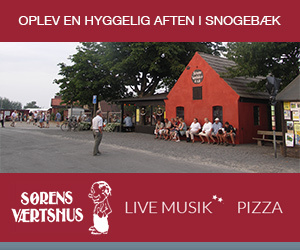 Also check out our event calendar, and find more events during the winter on Bornholm.